Characteristics: Bold, smoky and sweet. This wood burns hot and has a very distinctive flavor. Popular in Texas and the Southwest where it is used for grilling and smoking cuts of beef. Strong earthy flavor. 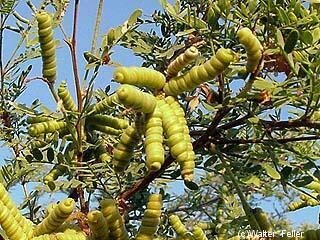 One of the most popular woods in the country, mesquite is a scrubby tree that grows wild in the Southwest. Sweeter and more delicate than hickory, it’s a perfect complement to richly flavored meats such as steak, duck or lamb. Burns hot and fast and it probably the strongest flavored wood. One of the hottest burning woods available, but it can impart a bitter flavor when used in quantity. For long smokes, it is recommended to mix with lighter woods, such as a fruit wood, to prevent bitterness. Pair with: This wood pairs well with most meats. It is especially good with beef, pork, jerky & vegetables. But be careful as it can overpower.